Anyway, I’d started developing an interest in whisk(e)y around this time (I’d long been a beer aficionado), had been reading around the subject, had always enjoyed bourbon, and the name on the bottle of the duty-free-only Wild Turkey 1855 Reserve in World of Whiskies rung a bell. So I bought it. On opening Down Under, I knew it had been a good decision and my interest in whisky really moved forward from there. I even acquired another bottle while away, the yellow-labelled Jim Beam Rye Whiskey (curiously bottled at only 37% ABV), which was unavailable in the UK at the time. Both were great entrees into quality whisky, most of all the 1855 Reserve. A blend of 6, 8, and 12-year-old stocks of lower barrel-proof whiskeys, 1855 Reserve was the richest, spiciest, most honeyed, and probably strongest dram I’d sampled up to that point. It’s still excellent despite the long time it’s been open. To nose, it’s all cinnamon, nutmeg, vanilla and warming toasty notes from long, hot summers ageing in charred oak in Lawrenceburg, Kentucky. These flavours carry through to the expansive palate which manages to be both sweet and dry with the richness of Christmas cake. The aftertaste is massive and long lasting. 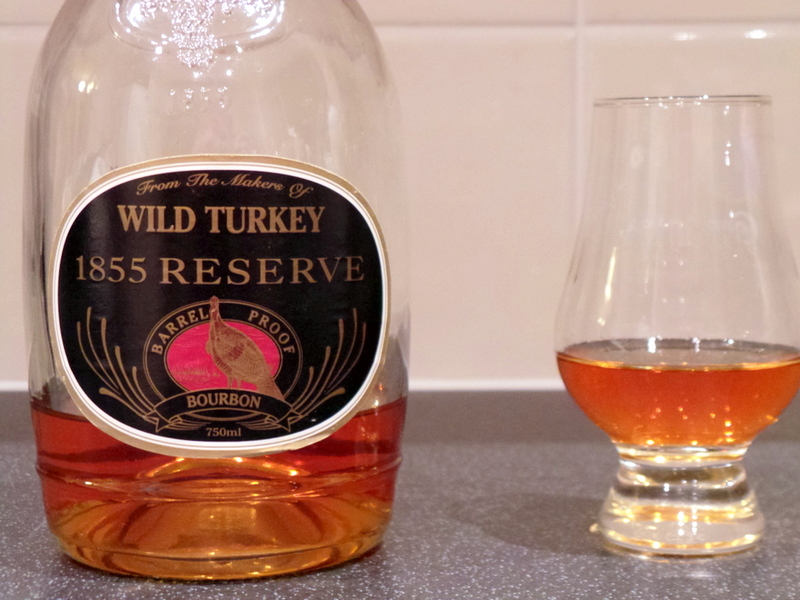 Sadly, the 1855 Reserve brand is no longer produced by Wild Turkey. 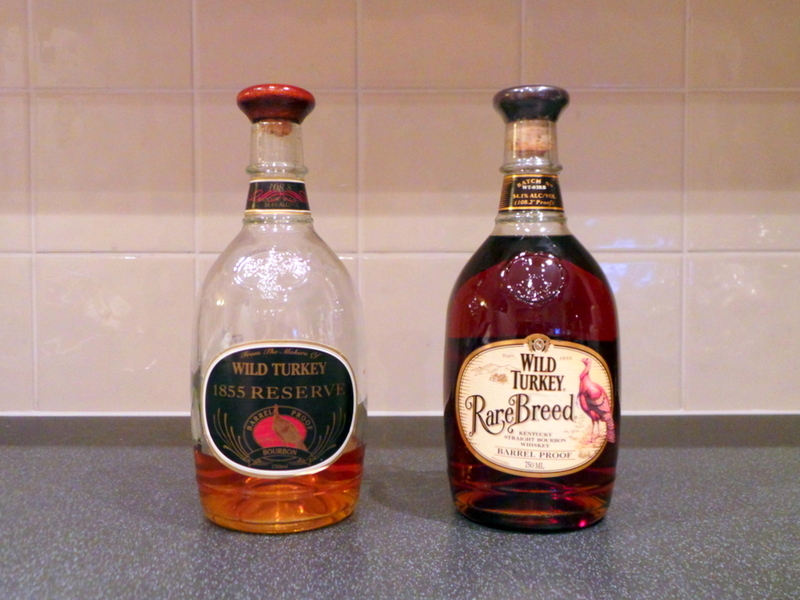 But thankfully, while my (now very old) bottle is almost spent, I have its domestic equivalent in, ahem, reserve: a bottle of Wild Turkey Rare Breed (54.1%) bought for me by my good friend Brian, shortly before he passed away. This one’s for you Bri!